100% polyester. 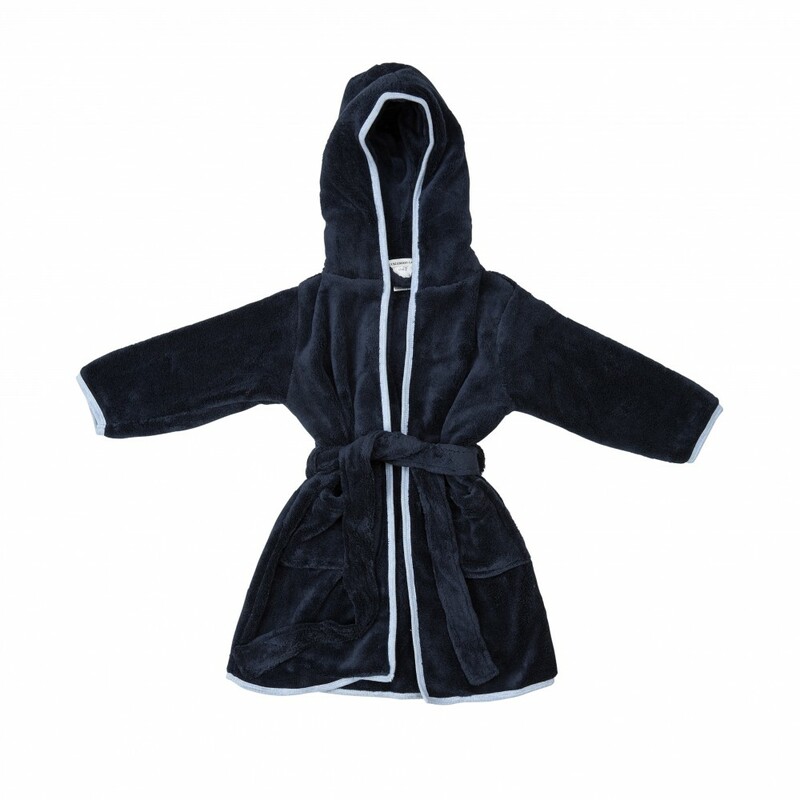 Navy long sleeve dressing gown with grey trim and hood. Comfortable and super soft. 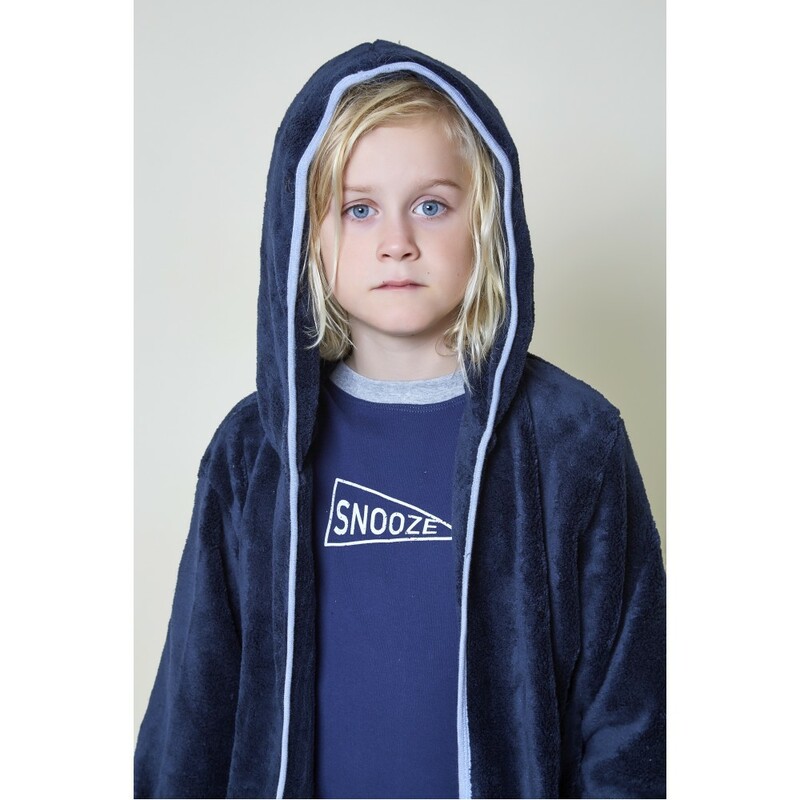 Perfect for a cold night at home or lounging around on a Winter's morning. A perfect gift for your little one.